Do the iPad 3 and OS X 10.7.3 show that 'Retina' Macs are on the way? Do the iPad 3 and OS X 10.7.3 show that ‘Retina’ Macs are on the way? Mac users have been captivated by the idea of super high-resolution screens on their favorite Apple product for a long time. Since the preview build of OS X Lion dropped early last year and evidence of HiDPI modes appeared, this anticipation has only grown. These ‘Retina’ Macs would offer crisper visuals for the OS, as well as for any applications upgraded with ‘@2x’ graphics by their developers. Now, some people are taking signs of HiDPI in Mac OS X 10.7.3, along with the iPad 3’s likely adoption of a Retina display as indications that we may see super hi-res Macs this year. We’ll refer to these high resolutions Mac screens as ‘Retina’ displays, although the definitions of that can be challenged because they will have such widely varying viewing distances. A future 27″ Apple Thunderbolt display might pack a QFHD display with a resolution of 3840×2160 pixels (4K), a huge jump over the current model’s 2560×1440 with over double the pixel count, while staying within the max resolution of dual-link DVI. Since Lion went out of beta and into official release, HiDPI modes were impossible to experience outside of installing Apple’s Mac development platform Xcode. If you had it installed, you could use the Quartz Debug mode to enable HiDPI settings in the OS X Display Settings control panel. These HiDPI settings are how you will run OS X on newer monitors with gigantic resolutions and not have all of the graphic elements of apps look insanely tiny. Eventually, developers will upgrade their apps to run at higher native resolutions and use of them will fade. But with the recent release of OS X 10.7.3 to the public, some folks have been experiencing having those HiDPI modes accessible even without Xcode installed or any special procedures. Some of these were collated well by John Gruber at Daring Fireball on Monday. 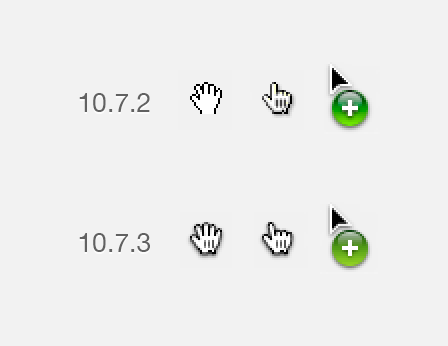 Marc Edwards of Bjango noticed a new look for cursors in 10.7.3 that actually turned out to be higher-resolution as well as redesigned. Specifically, the fact that some people, whose computers had never had Xcode installed on them, were having their machines reboot with HiDPI modes accessible, is a dead giveaway that Apple is definitely preparing OS X for higher res screens. Indeed, Apple isn’t the only company prepping for this, as Microsoft has warned developers to prepare their Windows 8 apps for high-res monitors. 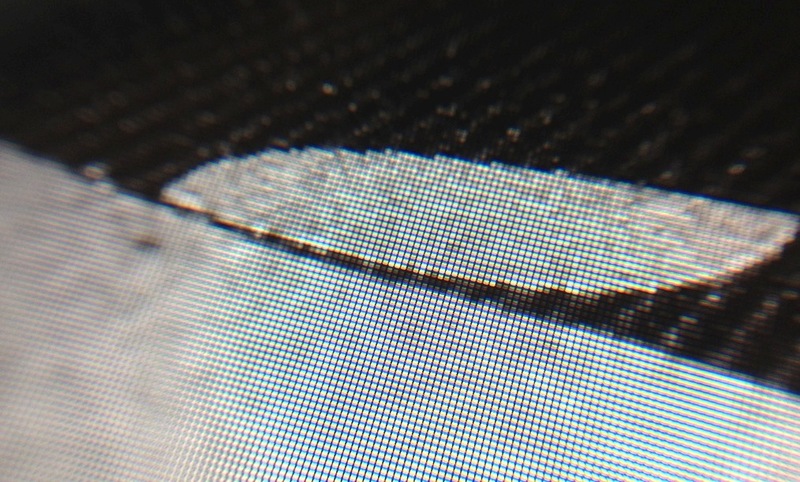 This isn’t the only bit of supporting evidence for high-resolution Macs either. There is also the fact that the iPad 3 is strongly rumored to have a Retina display running at 2048×1536. This creates a huge problem for any developers who want to make applications for this new native resolution and still see the app at a 1:1 ratio on their monitors while creating it, as it literally creates an image bigger than the biggest Mac monitor can hold on screen. 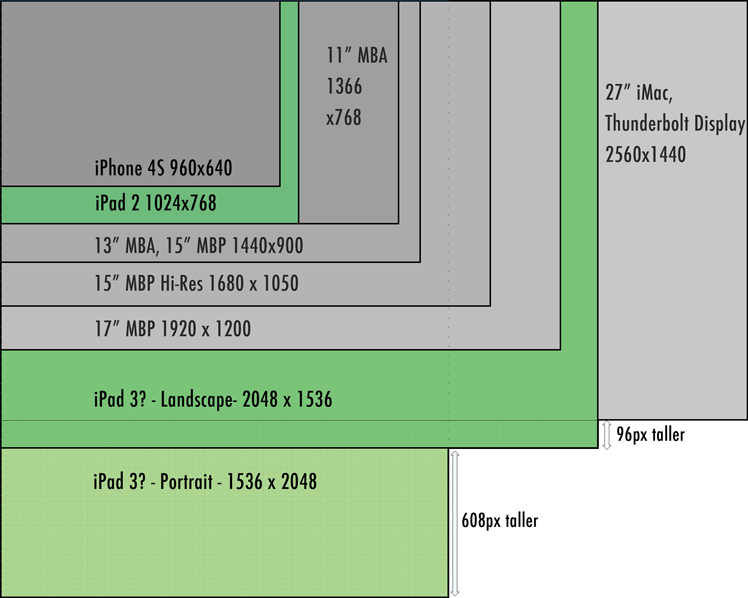 You’ll notice that an iPad 3 in portrait mode would be 608 pixels taller than the biggest display Apple makes. This means that developers and designers will be forced to run OS X in a HiDPI mode on hardware that natively supports the full iPad 3 resolution in order to avoid artificially shrinking the native pixel count of the app they may be building. A 3840×2160 pixel display would over double the pixels, have plenty of room for a 2048×1526 app mockup image and be easier to pack into a MacBook sized screen. In order to offer developers the ability to craft pixel-perfect apps for the iPad 3, the signs are pointing to the fact that Apple might begin offering Retina display equipped Macs soon. But the pricing and panel display concerns can’t just be laughed off. Sharp, a regular Apple partner, has only begun to ship panels at these resolutions and those are huge in physical size, 60″ and above. 4K panels are also prohibitively expensive, with some TVs packing these displays clocking in at over $11,000 for a 55″. This means that all of Apple’s preparation for high-res Macs in the future can’t necessarily be taken as a harbinger of a 2012 release. I mean, if any company has the insane command over its supply chain and enough clout to torsion the economies of scale in a way that allows it access to 4K panels affordable enough to shove into iMacs and MacBooks, it’s Apple. But it still can’t work miracles. Indications from Apple’s OS are nothing new when it comes to ‘predicting’ high resolution displays in Macs. But if Apple cut a deal with Sharp to supply Retina displays for the iPad 3 then I definitely wouldn’t put it past them to have used that leverage to score an impossible price on panels for its Mac lineup. At this point, Retina Macs are an inevitability, but whether they will show up in 2012 remains a mystery. One that many developers and designers are hoping will be solved sooner, rather than later.